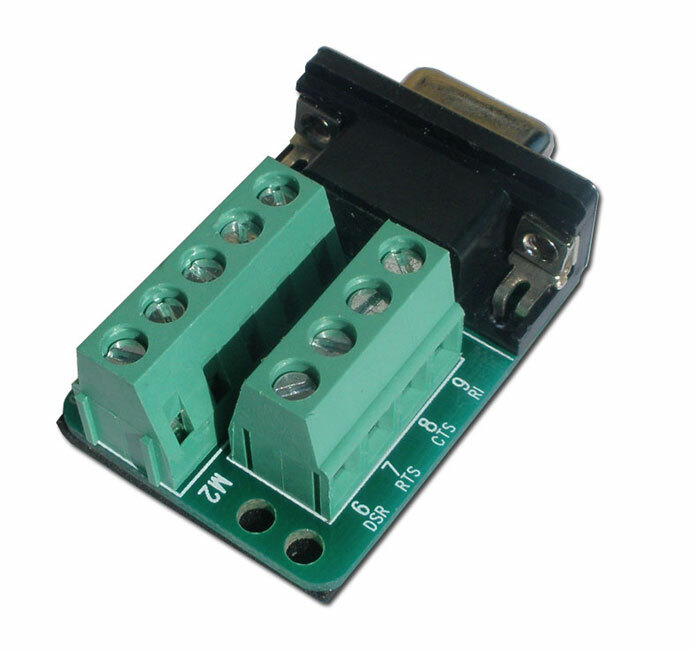 This is a DB9 female terminal block header board which can be used with all standard 9-pin D-Sub (DB) connectors. 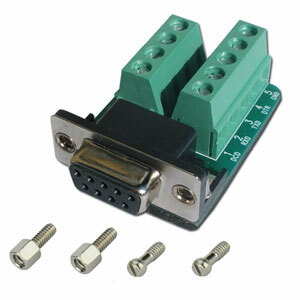 This RS-232 terminal block connects pin 1 to 9 to a 9-screw terminal header for easy wire installation. 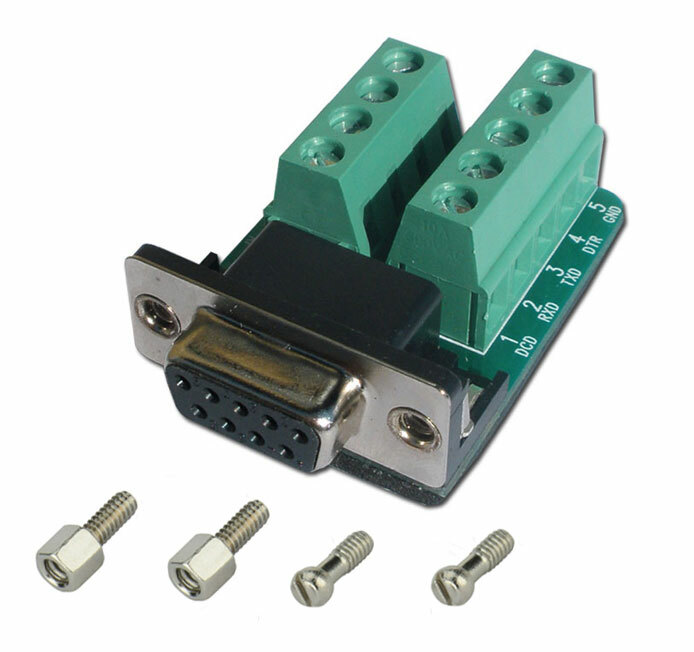 The header board can be used with all of our converters which has a standard DB-9 connector. Female stand-off nuts can be used for securing the header to your serial device.